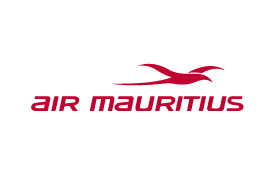 Air Mauritius started flying in 1972 as the national carrier of Mauritius. It’s the leading airline serving the island, carrying half of all passenger traffic to and from the island and connecting travelers with 21 countries. Through its service and onboard experience, the airline is an extension of this world-class destination, reflecting its rich cultural heritage and the hospitality of its people. Book now Opens an external website in a new tab. Earn Skywards Miles when you fly with Air Mauritius and redeem them for reward flights to over 20 destinations across the Indian Ocean, Europe, and beyond. *The following fare types are not eligible to earn Skywards Miles: N (Business Class) and Z (Economy Class). **First Class is not available on Air Mauritius aircraft. However, if you book a First Class ticket on an Air Mauritius–marketed and Emirates-operated flight, you will earn the First Class Miles rate. ***Business Class is not available for flights to and from Reunion and Rodrigues. Codeshare flights operated by airlines other than Emirates and Air Mauritius (MK) are not eligible to earn Miles. The following MK subclasses/RBDs are not eligible to earn Skywards Miles when Emirates Skywards members travel on MK flights: Z and N.
Please quote your Emirates Skywards membership number when you make your booking. If you forget to mention your membership number at booking, you may claim missing Miles by sending the following details to the Emirates Retail & Contact Centers or through the website feedback form: membership number, name, flight date and number, class of travel, origin and destination, and ticket number. You won’t earn Miles on Group Inclusive Tour (GIT) / Inclusive Individual Fare (IIT) tickets, redemption awards, or free ticket promotions. Flights operated as MK 920–929, MK 949–950, MK 9000–9699, MK 8700–8999, and MK 9700–9899 are not eligible to earn Miles. Reward tickets can only be issued on MK-operated flights with the flight code MK. Reward tickets are not valid on MK codeshare flights operated by another airline. Reward travel may be restricted during blackout periods. Reward flights are for a round trip and are subject to availability with MK. One-way rewards are not permitted. Miles can only be redeemed for reward bookings on MK in the following subclasses: X in Economy Class and I in Business Class. MK flights must be confirmed at the time of Mileage redemption. Waitlists are not permitted. Reward values are exclusive of taxes and other charges. These must be paid separately. Children and infants occupying a seat and traveling on reward tickets will be required to redeem the same number of Miles as adult travelers. For flight and date changes prior to departure, members can contact the Emirates Retail and Contact Centers or visit emirates.com. Expired Miles cannot be reinstated. Refunds on fully unused tickets are permitted at a charge of $75. A rush reward fee of US $75 applies for bookings made within 24 hours of outbound travel. A rush reward fee of US $50 applies for bookings made within 7 days of outbound travel. All fees and charges exclude local taxes, if applicable.